Okay, so maybe this is the best link from a couple days ago, but, ever since I saw them at Blackburn and Sweetzer on Monday, I can't get these sweet, kitschy, pastel Mosley Tribes gingham sunglasses off my mind. How amazing are they? 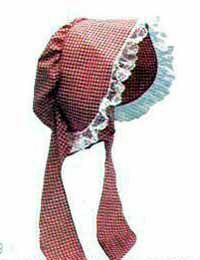 Finally, it's like the Little House on the Prairie bonnets from our youth just got edged up and became acceptable–in sunglass form–to wear. In LA, sunglasses are always wardrobe linchpins, but especially this year: one accessory to liven up the wardrobe during that spending freeze. 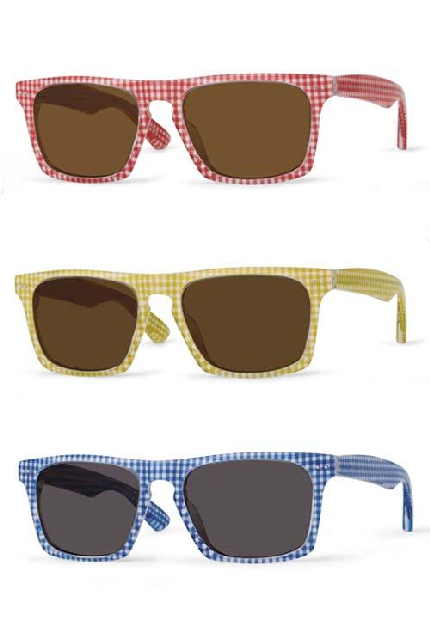 And, after perusing the company's website, I'm pretty much obsessed with ALL of Mosley's shades. B + S found them at Fairfax's cute and off-beat Keep Company, which, luckily, has an online store. (Keep Company's sorta nerd-chic shoe line is actually designed in LA too). So shop shop away. And think of me when you do. I'll be yearning enviously from behind my laptop's cluttered monitor. Sigh . . . poor Pocket Lint, right?